Last month I got swept up in Philippa Gregory’s The Cousins’ War series due to my anticipation of Starz’ new cable series, The White Queen, which will premiere this August. The Lady of the Rivers is the third book in the series, but is a prequel telling the events that led up to The War of the Roses. In this novel, Gregory weaves the tale of Jacquetta Woodville, mother of Elizabeth Woodville who late become the Queen of England. Jacquetta of Luxembourg supposedly had the gift of sight and was descended from the river goddess, Melusina. As a girl Jacquetta met Joan of Arc, and learned what becomes of women accused of witchcraft. Later, she is married to the Duke of Bedford who unbeknownst to her marries her for her special gifts. After he dies, Jacquetta shocks a nation by marrying her husband’s squire, Sir Richard Woodville for love. Despite the scandal, the two rise in King Henry VI’s court when Jacquetta becomes a close friend to his new queen, Margaret of Anjou. From her friendship with Joan of Arc, Jacquetta learned that fortunes can change over the course of a lifetime. A lesson Jacquetta sees within her own life as she endures the changing political tide in England when the throne switches from Lancaster to York. Even more so when Jacquetta helps her daughter, Elizabeth, become one of the most powerful woman in the world. A story rich in passion and legend, The Lady of the Rivers is the story of Jacquetta, Duchess of Bedford, a woman who navigated a treacherous path through the battle lines in the Wars of the Roses. When Jacquetta is married to the Duke of Bedford, English regent of France, he introduces her to a mysterious world of learning and alchemy. Her only friend in the great household is the duke’s squire Richard Woodville, who is at her side when the duke’s death leaves her a wealthy young widow. The two become lovers and marry in secret, returning to England to serve at the court of the young King Henry VI, where Jacquetta becomes a close and loyal friend to his new queen. The Woodvilles soon achieve a place at the very heart of the Lancaster court, though Jacquetta can sense the growing threat from the people of England and the danger of their royal York rivals. As Jacquetta fights for her king and her queen, she can see an extraordinary and unexpected future for her daughter Elizabeth: a change of fortune, the throne of England, and the white rose of York. . . . I really enjoyed this book because it told more about the Lancaster rule of England from a different perspective, and gave more insight into the events leading up to The War of the Roses. 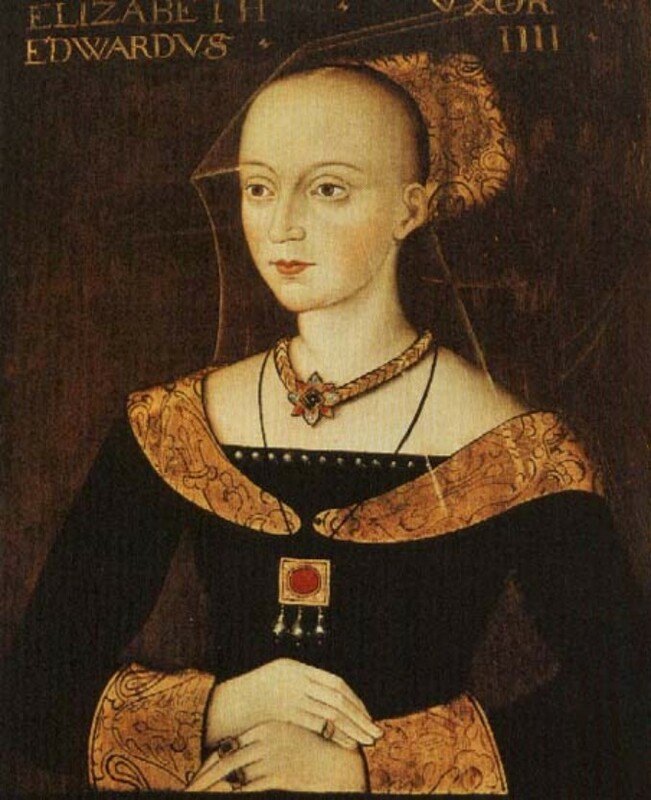 What I liked the most, was how unbiased Jacquetta’s perspective seemed in compared to that of Margaret Beaufort (The Red Queen) and Elizabeth Woodville (The White Queen). Both of the other women’s perspectives were very one-sided, where as Jacquetta could see both sides of the situation. Like the other two, Jacquetta looked out for herself, but her love and affection towards her friend Margaret of Anjou was unchanging. In fact, their friendship was the highlight of the book. After reading two books prior where the woman were at each other’s throats, it was nice to see two women’s friendship endure despite changing loyalties. Having read the four books currently released, I definitely have to recommend this series. While it’s probably not the most historically accurate novel about the Plantagenets considering the lack of information regarding these woman (compared to male counterparts), I was thoroughly enjoyable, and I couldn’t put it down.